Sep 7 By Jen Leave a Comment This post may contain affiliate links. 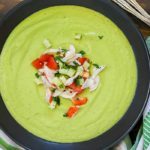 Toss your avocados in the blender and make this Avocado Soup with Crab! 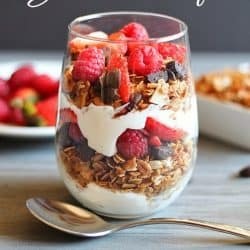 It’s cool, creamy and delicious! Top with a little crab and cucumber topping to give it a little something extra! 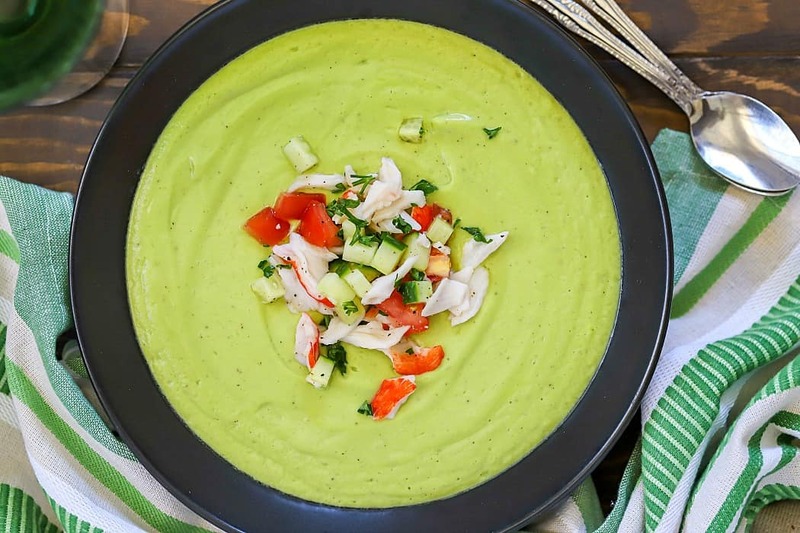 Try avocados in a new way by making this Avocado Soup with Crab! Avocados are well known for being extremely versatile. 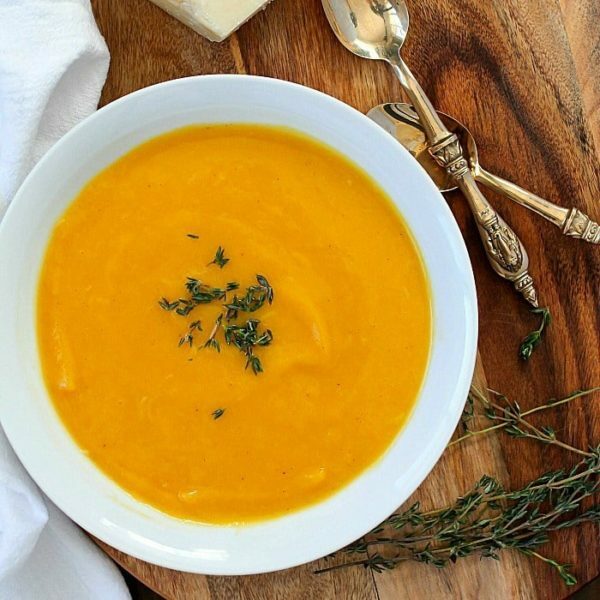 But when I was asked by California Avocados to make a soup using avocados, I was like wait. That’s a thing?! Yep, it sure is! And it is INCREDIBLE. 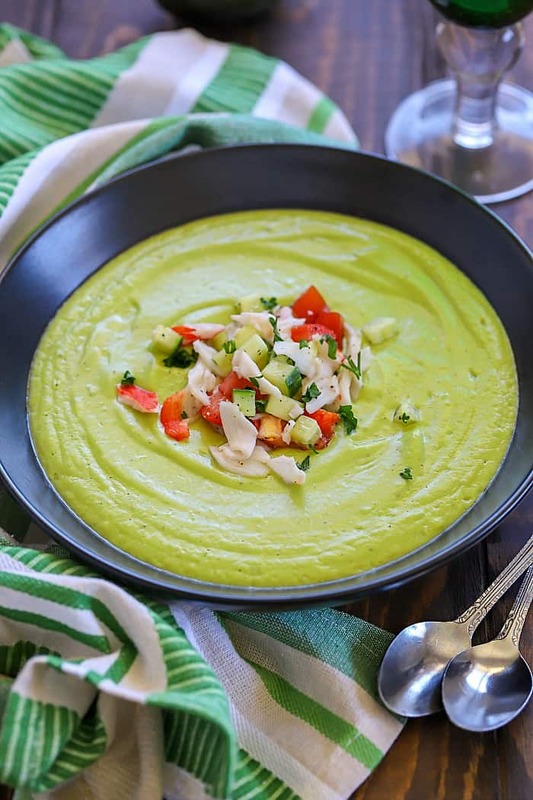 We all know how creamy avocados are, so just imagine blending up a couple of California Avocados with broth and seasonings. 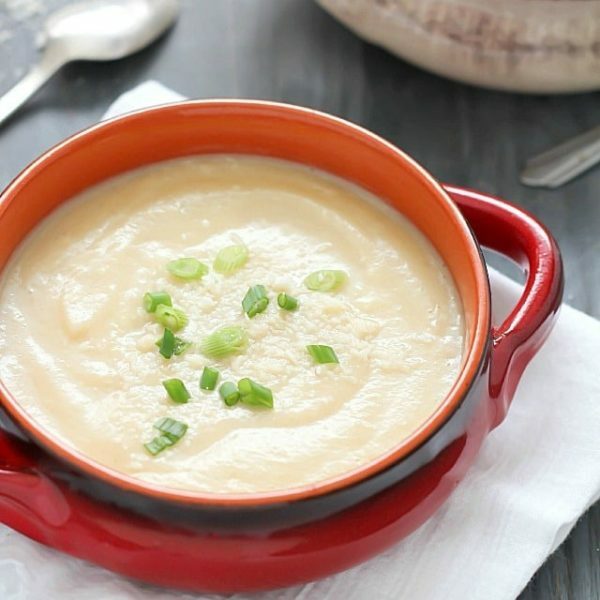 It makes the most creamy, light, but filling avocado soup! 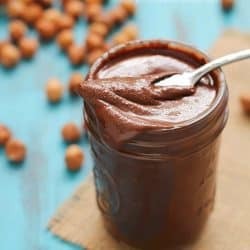 I could not stop dipping my spoon in. 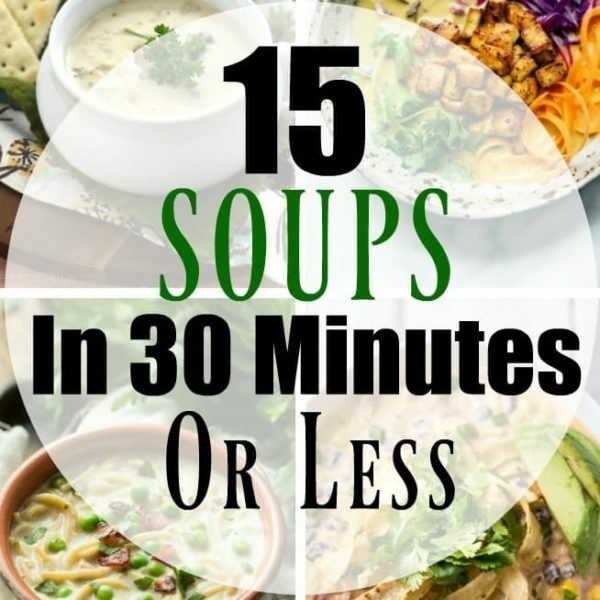 The Avocado Soup alone is dairy free and vegetarian. Obviously the crab topping isn’t vegetarian but you can always leave the crab out and just use the tomato, cucumber and seasonings. I love topping this Avocado Soup with Crab Topping. You get protein from the crab, coolness from the tomato, and crunch from the cucumber. 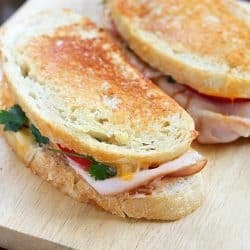 It balances out the creamy soup perfectly! Grab a spoon and dig in! 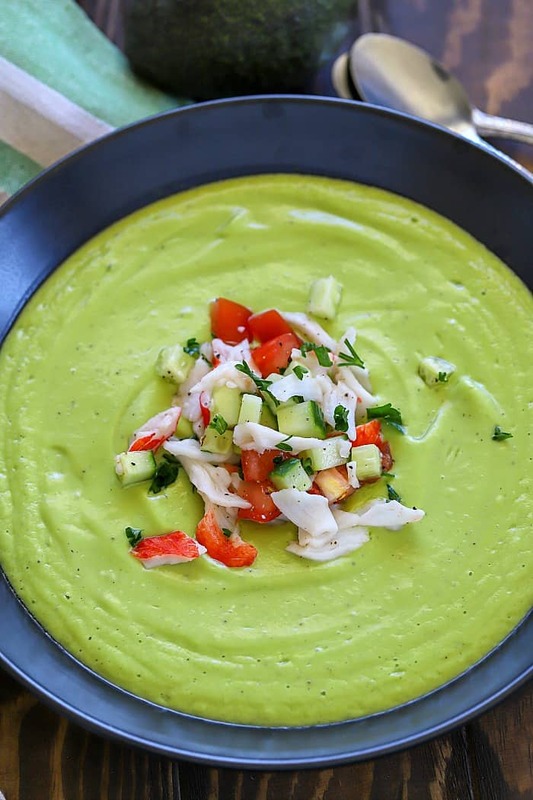 Toss your avocados in the blender and make this Avocado Soup with Crab! Pour oil into a small skillet, and turn the heat up to medium. Add garlic when oil is warm and cook, stirring until fragrant, being careful not to burn the garlic. Turn off heat and set pan aside. 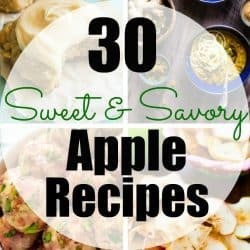 In a blender, pour in the garlic and olive oil then add peeled and pitted avocados, vegetable broth, lemon juice, salt and pepper. Blend together. Taste and season as appropriate. 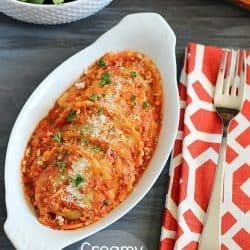 Pour into a container and place in refrigerator to cool. Meanwhile, in a small bowl combine crab, tomato and cucumber. Season with salt and pepper. When soup is chilled, pour into bowls and top with crab cucumber mixture. 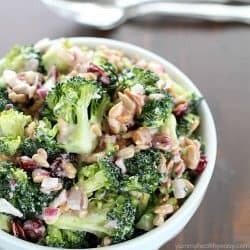 Sprinkle with chopped parsley and enjoy!